The question “How to find your niche in blogging?” is unique since the answer solely relies on you. There are no concrete steps to take that will ensure you that you successfully found your niche in blogging. That is why we are going to discuss some tips, tricks, and general guidelines on how to find your niche, as well as talk about how important it is to have a niche and give some tips on how to align your niche to your blogging goals. First Things First: What Is This Niche? 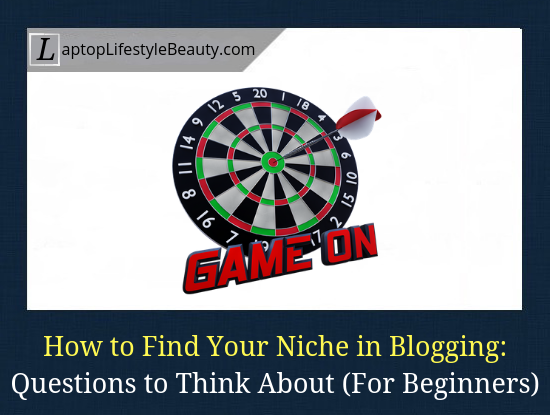 Niche is the main idea of your blog, or it is a specific topic within an umbrella topic. Let’s imagine that you want to blog about beauty and lifestyle, you have to figure out which part of beauty and lifestyle you want to write about. If you just stick with beauty and lifestyle, your blog might get lost in translation as there are a lot of topics to cover. You can narrow it down to skincare or dieting tips, for example. This way, you now have a focus which caters to a specific audience. What Is So Important About Having a Niche? We have heard about having this very prestigious “niche” before, but what is it really about? Part of answering the question of how to find your niche in blogging is to determine why there is value behind this niche. Curating blog posts are hard. First, you have to pick a topic, then you have to create content, and afterward, you do all the blog marketing aspects. If you have a niche, you do not have to go through the trouble of picking a topic since all you have to do is to plan ahead your posts that are related to your topic. Another thing that a lot of bloggers do is that they repurpose some of their blog posts and create a new twist to them. Having a niche makes this process easier. What is this ‘authority’ that I’m talking about? It is about being the go-to person to consult regarding a topic. It can also be viewed as being an expert. This part right here is probably one of the biggest advantages of having a niche. This is the case because people will tend to go to your blog because they know that your word is some kind of law when it comes to that specific topic. At the same time, it is not just about face value, but you will eventually be well versed in that topic because you have been consistently researching and writing about it. 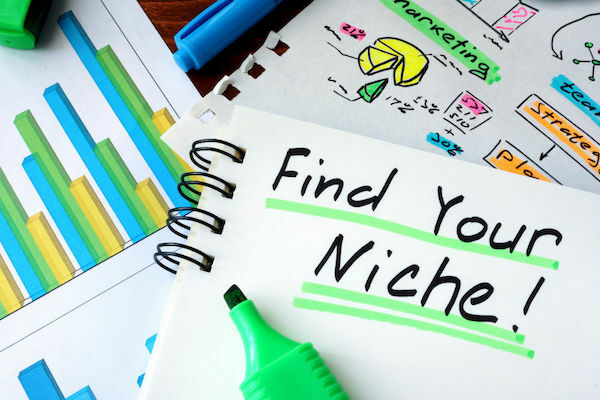 We touched this subject lightly when we discussed what a niche is, but definitely, it is one of the most successful ways of gaining an audience. When you pick a specific niche, you already have a sole audience there. But when you keep up with it, people will start to expect the same related topics from you. Therefore, you already have their interest, so all you have to do is to maintain that interest by producing content within your niche. This comes right after establishing a solid community, which is again made easier by your niche. This is where your email list comes in, and subscription offers. At the same time, your ad performance will also increase because a lot of people will keep on visiting your blog for your content. You have to consider the things and topics that you are passionate about. Think about all the posts and content that you will be creating, based on that niche alone. Make sure that you will be able to take on the topic even though it will get repetitive. In short, know which topic will not make you sick and tired of writing. 2. What Do I Know About It? Knowing is different from specializing. It is great that you have a little knowledge about the niche that you are going to choose, but just like what they say, having little knowledge is dangerous, so it is best to pick a niche which you know you are already well versed or good at. 3. Does It Have Potential? Choosing a niche that you are passionate about is part of the process, but you also have to be practical because, of course, you are not just posting content for the heck of it. Make sure that there is also potential revenue behind that niche website. After you have answered the questions above, you are now ready to finalize your niche. Pick at least three topics that are suited for you and plug them in Google Trends. You will now see which among the three has the most traffic, audience, engagements, gains, etc. With just the first step, you can then choose your niche, but if that is not enough for you, then you can also use Google keywords that are related to the topics. Again, if that is not enough for you, check out other blogs with already established niches. Study how they maximize their revenue and decide if you can also apply that to your blog as a niche. Lastly, if you do not trust analytics and trends, just go with your gut. If you believe that you will flourish with your niche, then go for it. Now that you know what questions to ask yourself before deciding to go for a specific niche, all you have to do is to develop a plan on how to successfully deliver that niche to your audience. Trust your niche and keep at it! This is something out of the box information. The thing we need to be able to do is conquer that fear and keep moving to make positive changes in our lives. You have to get yourself into a frame of mind where you come face to face with the fact that your life is short and that you ought to be successful in this shortest time. Never give up on your dreams. Strive hard with whatever available resources you have. Thanks for this wonderful information and will come back again. The fear can hold back big time, for sure! I can’t even describe how much emotional struggle it was at the beginning of my online journey – choosing blogging/website business over law school to be the biggest. Crazy. But now I’m REALLY happy with my decision. I do what I like, I’m flexible in terms of time and space and I make passive income. So glad I listened to my heart and didn’t let fear get in the way. Unlike many other bloggers, I had constant support though. As a member of Wealthy Affiliate community, I am surrounded by like-minded people and they always support me on my online journey (they still do). It certainly is important to one’s success.